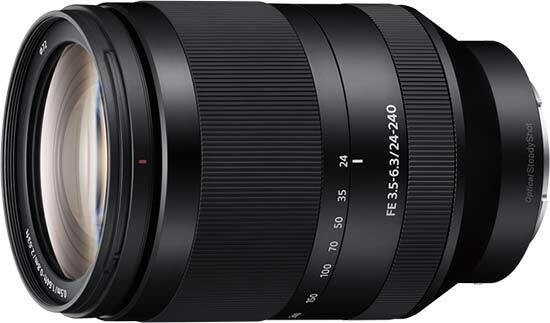 As the only native super-zoom lens for Sony A-series cameras, the FE 24-240mm f/3.5-6.3 OSS is a competent, rather than spectacular, optic that's simply priced too high for us to strongly recommend it. It delivers good levels of sharpness in the centre of the frame almost throughout its aperture range, even performing quite well wide-open, although you'll need to stop down quite a lot to get similar quality at the edges. The Sony FE 24-240mm f/3.5-6.3 OSS lens also suffers from obvious distortion at both ends of the zoom range when shooting in the RAW format - the Sony A7-series cameras automatically correct this for JPEG files - but as a lot of owners will no doubt be relying on RAW to deliver optimum quality, it does require some post-processing to remove it.